Once I realized that mirrorless cameras were more than capable of replacing my DSLR, I dove in head first and sold my Nikons. Ever since then, I’ve been saying that the only thing I miss from my Nikons is the excellent Creative Lighting System. Nikon’s CLS allowed me to make pictures with excellent light in all kinds of situations without using additional radio triggers or sync cords. From broad daylight to pitch black night, from manual mode to TTL, Nikon’s speedlights never failed me. when I switched to Lumix, I continued using my Nikon flashes, but I used some inexpensive dumb triggers that simply made the flash fire and I had to manually adjust power outputs at each light. I have missed the ease and versatility of the CLS. But now I’ve discovered a set of tools that more than replaces Nikon’s tools. 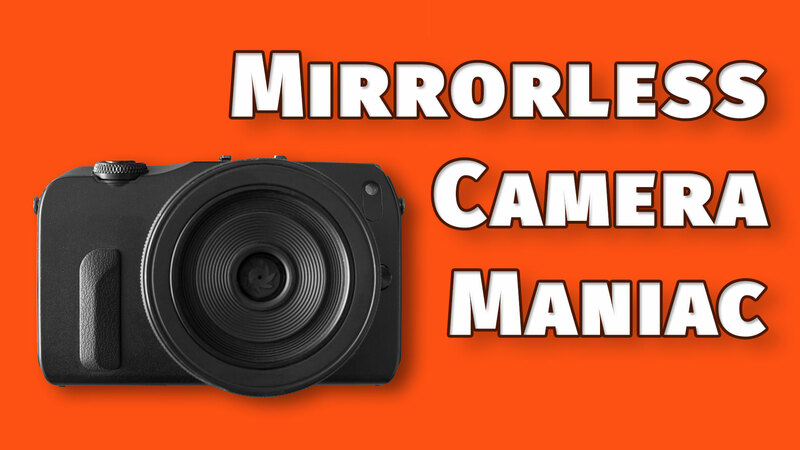 It works marvelously with mirrorless cameras, but it also works with DSLRs. Nissin has been making quality speedlights for a long time. Their latest tools offer the most powerful flashes and they are all radio controlled so line-of-sight isn’t necessary (like it is with the Nikon CLS), and they even work with your camera’s High-Speed Sync to allow you to photograph at speeds over the x-sync speed (usually 1/250s, and performance may vary with Fuji). There are two remotes, the Air 1 and the soon-to-be-available Air 10. They both control multiple groups and they both work with your camera’s TTL metering or in manual mode. They are everything you want in a flash trigger. You simply buy the one made for your camera brand (Olympus, Lumix and other MFT’s share the same triggers). Nissin also makes two flashes compatible with the Air triggers. The Di700A (who comes up with these names?) is a powerful speedlight about the same size as the Canon 580 series. Its radio control works flawlessly in my tests in many instances. You can see the full specs here on B&H. The cost is very nice, too. It’s not as cheap as dumb flashes found on discount websites, but it performs so much better than those, and it’s really well made. The powerhouse of the lineup is the i60A speedlight. It is more powerful than Canon and Nikon flashes, less costly, and the design is remarkable. It’s much smaller than other powerful speedlights (smaller even than the Lumix FL580L). The design breaks away from the usual speedlight form with a button on the side to make it swivel left and right and up and down, which always ends up feeling creaky and flimsy. The i60A has a tight structure that articulates solidly and moves into position with positive detents and it feels like it will remain this firm for the life of the product. These are some pictures I made recently using the i60A and Di700A with the marvelous MagMod speedlight modifiers. Besides the speedlights, there are also the Air R receivers for specific flash brands. That is, I can buy the Air R for Nikon and use it with my Nikon flashes. So far, it would work with the Air 1 I have for Lumix, but only as a dumb trigger. What’s really exciting is that the new Air 10 will allow me to use the Air R for Nikon and have full control of the Nikon flash as if I were using the Nikon CLS!!! Yes, I used three exclamation points because it’s incredible. If you have Canon or Nikon or whatever flashes, you just need the Air R receiver for that brand flash and you can use them with full TTL controls from whichever mirrorless camera you own. Heck, they even make the trigger system for Canon and Nikon, so we’re talking about full intermixing of all kinds of flash brands. This is unprecedented and it makes the world of speedlighting and off-camera flash a whole lot bigger. **The Air R receivers also have PC sync ports, so they can trigger your studio strobes, but I don’t know of any compatibility for communicating with the strobes and using TTL; I hope they make a compatible trigger for my Alien Bees. When you switch to mirrorless, it’s best to sell your DSLR lenses and get the fine glass made for your system, as I discussed in this other article. But not so with the flashes. Keep the flashes you have, get the Air 1 or Air 10 triggers with Air R receiver for your flash and get out and make pictures. If you don’t have any speedlights, then the i60A is the best speedlight I’ve ever used. The Di700A is also very good, just larger. What’s more, these flashes and triggers cost hundreds of dollars less than the Canon triggers and flashes. I think everyone should get in on these tools. Good stuff here Levi, thanks! I’m sold on the i60A. I have a related Q that you may have input on, or perhaps another reader will. I’m a Fuji X-T2 shooter. I’ve wanted to get into using off-camera flash and the Nissin system appears to be an excellent choice over my Canon 580EXII that can only be off camera using a clumsy coiled TTL cord. However, Nissin recently announced that they will be updating the i60A flash firmware sometimes in May 2017 to allow Fuji cameras to access HSS with it. They state that the update would require owners to ship the flashes in to have the FW updated. Grr. Would you say it’s probably a good idea to wait until the update is released, assuming Nissin will soon ship i60A flashes with that update already baked in? That’s a tough one! I can’t speak to Nissin’s manufacturing or shipping procedures, but one problem may be that the unit you buy could have been sitting on the shelf at the store since before the update so that even though you waited to buy, you still get an old firmware. I would contact Nissin’s customer care and ask their advice. Thank you. I have pre-ordered the Air-10, because I want the range. I have done without my Canon flashes for a year, I can wait a couple months for the Air-10s range over the Air-1. … I have also thought that the Nissin line of air triggers is basic insurance for my ability to use all my flashes, even if a totally new camera comes out, I would expect Nissin to create a new version of the Air Commander for that camera, and I would have to change nothing else.